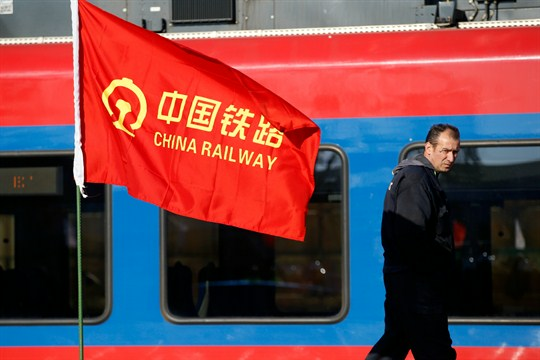 Are China’s Inroads Into Central and Eastern Europe a Trojan Horse? A worker walks on the site of the China-financed reconstruction of a railway line, Belgrade, Serbia, Nov. 28, 2017 (AP photo by Darko Vojinovic). BELGRADE, Serbia—Is China building a Trojan horse in a divided Europe? The diplomatic initiative between China and 16 countries in Central and Eastern Europe, known as the 16+1, has become more controversial since its launch in 2012 at a summit in Poland. Critics worry that it may undermine the European Union’s unified approach to Beijing, weaken transparency in economic and diplomatic engagement, and give a secretive regime with an increasingly muscular foreign policy a foothold in Europe.